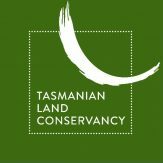 The Tasmanian Land Conservancy is a registered environmental organisation. We raise funds from the public to protect irreplaceable sites, endangered species’ habitats, and rare ecosystems by buying and managing private land. 1. Permanent reserves – Land which we raise money to purchase, protect and manage in perpetuity. 2. Revolving reserves – Land which is purchased, protected and re-sold with covenants intact to new owners keen to support conservation. In this way we free up capital to reinvest into the next property so every precious dollar is used over and over again. 3. Working with landowners – To protect critical ecological values on private properties. Working in partnership with the Tasmanian and Australian governments, corporate sponsors, and most importantly, private land holders we assist in conserving vital habitat on privately-owned land.